Have a hankering for a meal on wheels? These gathering places always have a nice selection of options. 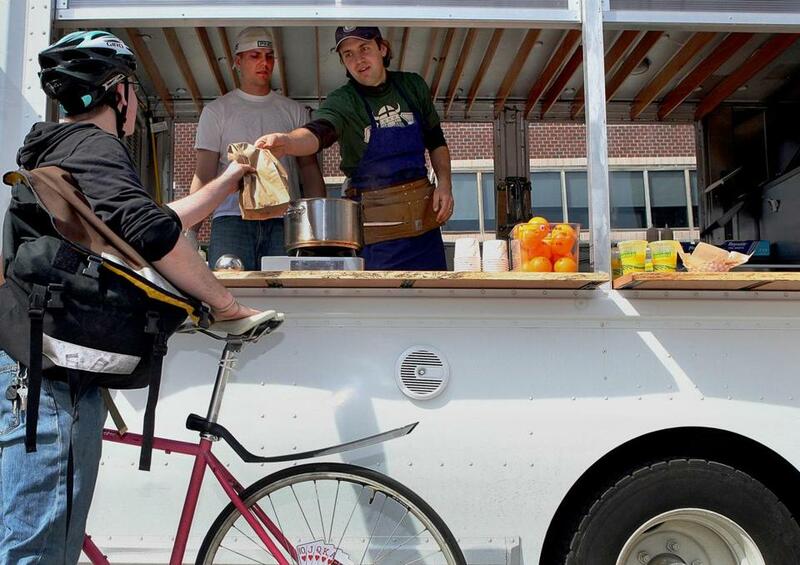 Clover founder Ayr Muir, at right, serves from one of his food trucks.